The Coil Cable Lock Primo 5510K from ABUS offers good basic protection with a low risk of theft. Easy to use. With this bicycle lock, you can quickly and effectively provide basic protection with a low risk of theft. The Coil Cable Lock Primo 5510K from ABUS is your answer if you are looking for a bicycle lock for your entry-level bicycle or a children's bicycle. When folded, the ABUS lock can be easily transported in the Snap Cage mount mounted on the bike. 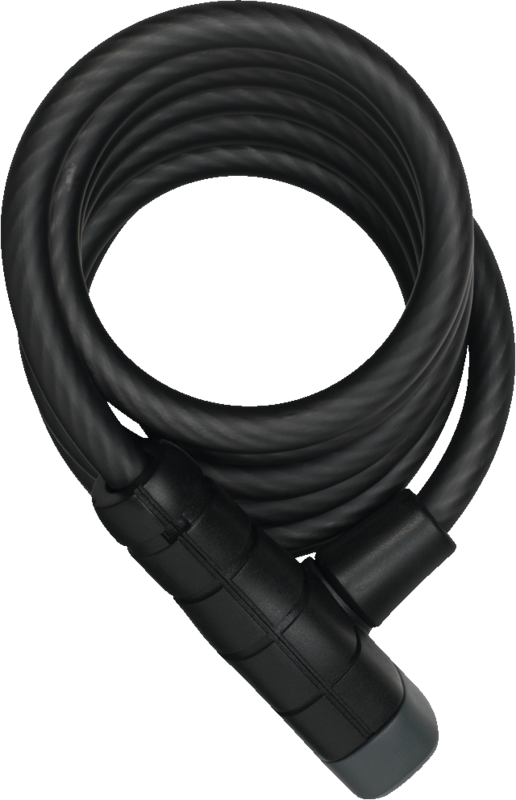 The 10 mm thick, super-flexible spiral cable offers good protection when securing the bike around a solid object in regions or in places with a low risk of theft. In addition, we recommend using the Coil Cable Lock Primo 5510K as a secondary lock for an additional bicycle component lock.